The awesome and super-compact KT108 is the ideal choice for keyboardists looking for great, classic tube-like sounds in a 2-channel, 15-Watt combo – with an equally-small price. Our revolutionary VTC (Virtual Tube Circuitry) emulates the preamp and power amp stages of those larger-than-life classic tube rigs, giving the KT108 its truly tube-like sound – plus the onboard 3-band EQ (Low, Mid, High) makes for super-easy sound shaping. 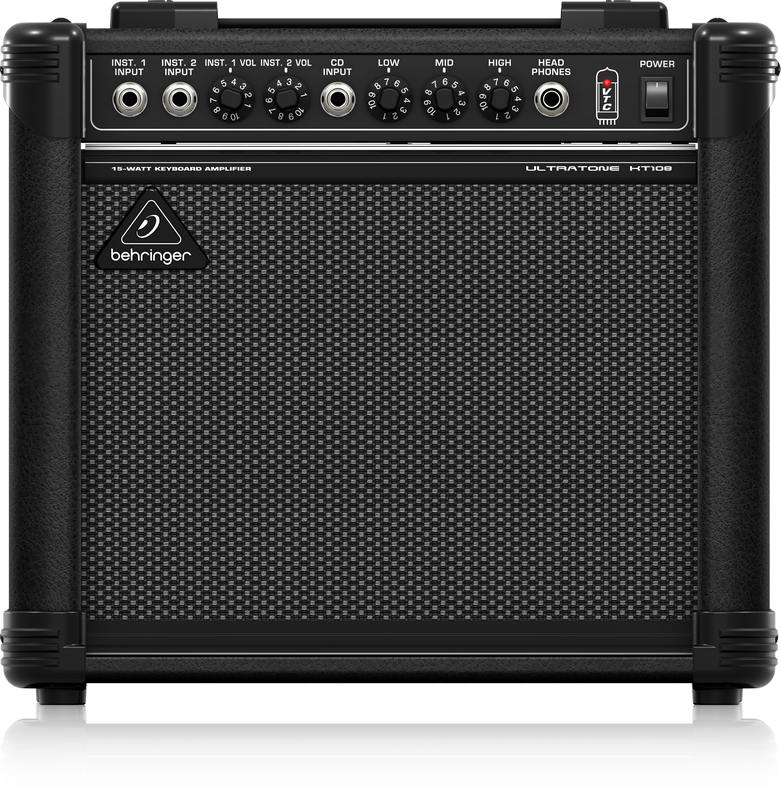 The powerful 20-Watt BUGERA 8" speaker provides amazingly-rich and deep bass, without the slightest hint of distortion. And for those times you want to keep that all magical tone to yourself, we‘ve provided a ¼ " input for connecting your CD or mp3 player – and a powerful headphone output.